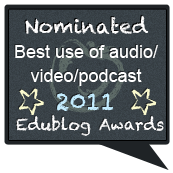 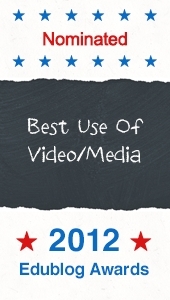 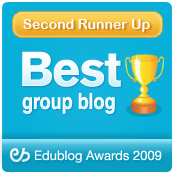 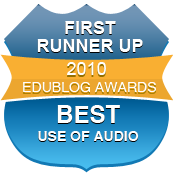 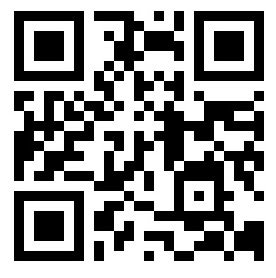 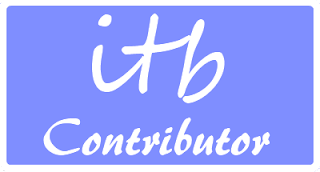 We're delighted to feature in the finalists list in the international Edublog Awards for 2012 - as Best Group Blog (which we won in 2008), Best Class Blog and Best Use of Videos and Media in Education (for our series on key moments in Macbeth - 'Macbeth w ShowMe App). 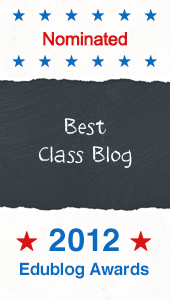 We're also delighted that the College's science Frog Blog is a finalist as Best Teacher Blog for Mr Humphrey Jones and Best Ed Tech Blog. 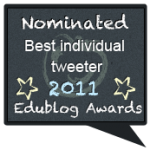 Voting continues until Sunday 9th December, via the links above, or the badges on the right, or through this single link.